The second best perk of working here at Kegerator.com is being able to go hands-on and play around with some of the new beer related gadgets. The best perk is, of course, all the free beer and cold-brew coffee we have stashed away in random kegerators around the office. Product testing, obviously. I recently had a chance to combine both in a nirvana-like moment when the folks at Kegbot graciously sent me a sample of their product. Kegbot is an automated kegerator monitoring tool. This awesome little gadget tracks the amount of beer used, average pour size, temperature, and age. This data can be assigned to specific drinker accounts when an NFC compatible tablet is used. Data can be viewed from a tablet attached to the kegerator and on a web server. Since our tablet was not NFC compatible, it doesn’t show drinker account data. I forgot to assign an image to our keg of Firemans 4. Hence, there is a question mark over the image of the keg. I am filing that one in the live and learn category. An Android tablet will need to be purchased separately. 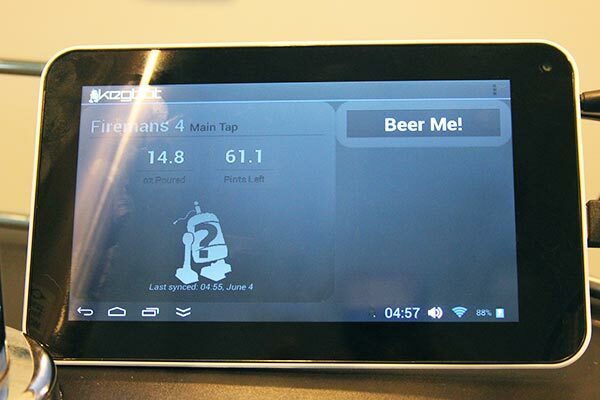 With the right modifications, most modern tablets will work with Kegbot. However, I still found this selection to be somewhat tricky. The Kegboard connects to the tablet with a USB cable. Unfortunately, the choice of tablets that have a built-in USB port are somewhat slim. If your tablet doesn’t have a full sized USB port, you will need an OTG connector to use the micro USB port. Some tablets use the USB port for their only power source. If your tablet falls into this category, you can use a USB OTG and power Y cable to charge your tablet with Kegbot connected. The catch is that some tablets, like the Nexus 7, require rooting to make this cable work. If that is not something you are willing to do, then it may be best to go with a different tablet. The Nexus 7 it is one of the few newer tablets that comes equipped with NFC. This feature unlocks the power to individual drinker accounts. Unfortunately, the downside is that you will need to root the tablet to make the USB port work for both charging and communicating with Kegbot. While this is a great tablet, having to root the device may be a turn-off for some. If I had to do it over again, this is the tablet I would select. It is cheap (refurbs cost under $100), has a decent 2 megapixel front facing camera, a separate AC power adapter (no rooting), and NFC. However, you will need an OTG connector for the micro USB port. This is the tablet I used. On the bright side, it has a full sized USB port and separate adapter. It’s faster than I expected and dirt cheap at only $50 bucks. The downsides are that it has no NFC support, the 0.3 MP front facing camera is a complete joke, and you will have to load the Kegbot software using the .apk file because it does not have Google Play. This is an ok route if you want a basic and slightly sad Kegbot. 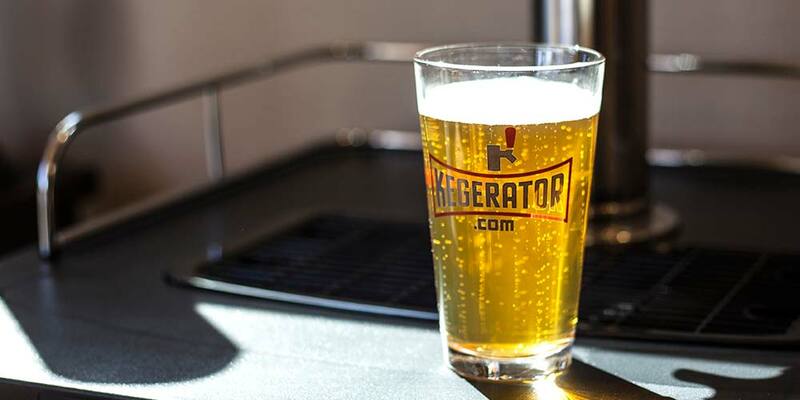 Finally, you couldn’t have a Kegbot without a kegerator. 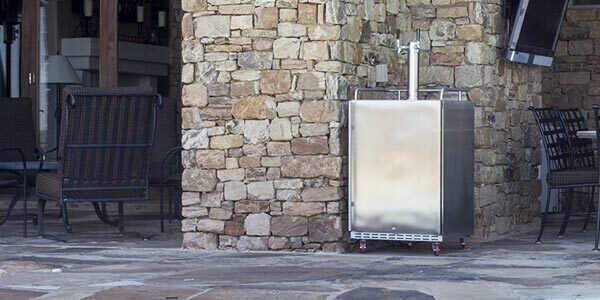 Kegerators are refrigerators that have been modified to preserve and dispense beer. We used the Edgestar KC2000 to build our Kegbot. It is a reliable and affordable model suitable for most users. Most full sized half barrel kegs fit and it maintains temperatures in the low 30s. If you are on a budget, you can’t go wrong. If you want more features and space than a KC2000 for not much more money, the KC3000SS is an excellent choice. 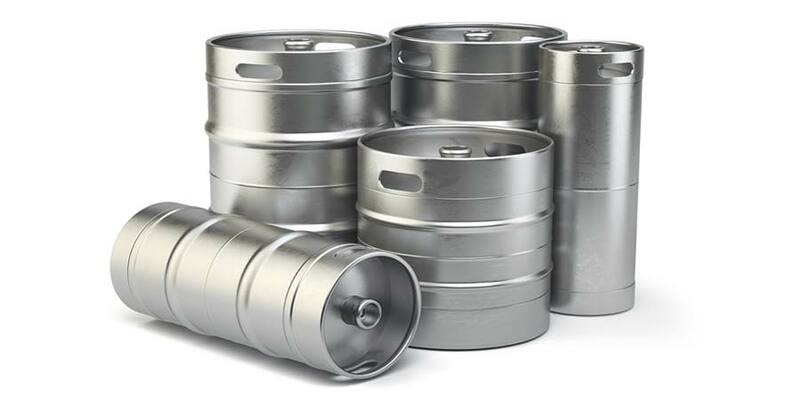 The model has a huge storage capacity of up to 3 corny kegs or 3 sixth barrels. It can also hold all half barrel kegs, including oversized versions. Stainless steel and digital temperature readings add a touch of sophistication and dare I say elegance. If you want a top of the line kegerator, look no further. Made with heavy duty materials and the best compressors on the market, this unit will not fail you. Automatic defrosting and a forced cooled tower ensure optimal beer quality with minimal work. 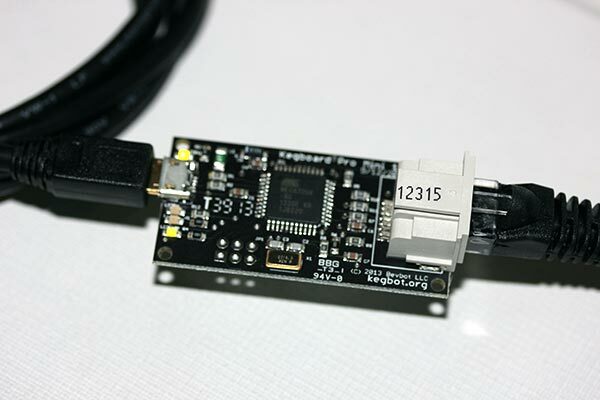 Plug the Kegboard into a powered USB port. Plug the flow meter into the Ethernet port on the Kegboard. Run a small amount of water through the flow meter. At intervals, you will see all four LED lights on the board LED. You will need a screwdriver to remove a couple screws. The flow meter will go in the beer line. Make sure you have enough slack to reach accordingly. For our setup, we mounted the Kegboard on the top back section of the Kegerator. It would be wise to find an antistatic covering to protect the fragile board. If your kegerator doesn’t have an external CO2 tank, alternative wiring routes are through the beer tower or as a last resort through the front door frame. You will need to remove the beer line from the kegerator to accomplish this task. When you connect the flow meter, look for a small arrow. 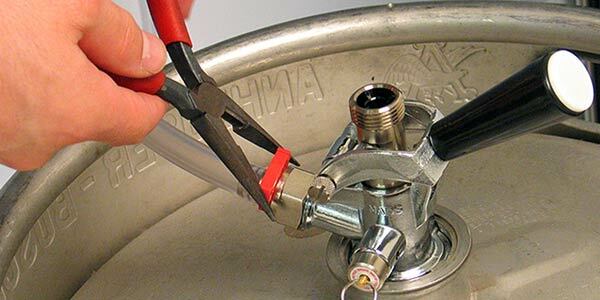 Install the flow meter with the arrow going in the direction the beer flows through the line. Be careful to keep a close eye out for leaks. You might want to use hose clamps to make sure all your seals are extra tight if you have any doubts. 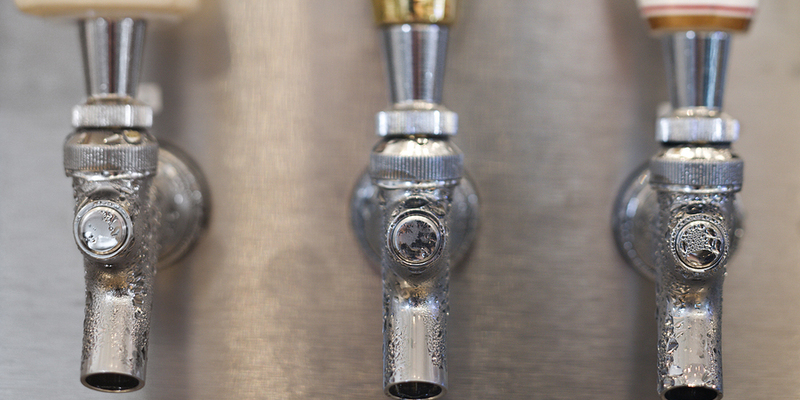 When you pour beer, you should see the Kegbot application start to countdown the volume left in your keg. It’s worth noting that this didn’t happen upon first try for us. It turned out there was a setting in the application software where a different version of Kegboard had to be selected for monitoring to work. Most people use GPS holders to make the tablet stay in the right position. Remember, it takes a picture when you hit beer me. You want to align the tablet to be able to capture a decent picture. Adding Kegbot to a kegerator is a fun and rewarding project. If I had to do it over again, I would have splurged on a nicer tablet. A more vivid screen, better pictures, and NFC functionality to track individual usage are worth the initial investment. Kegbot has some consumer applications. We can take pride in having the most tricked out kegerator, and who wouldn’t want to add a scientific touch to their drinking games. However, I see the real potential for Kegbot on the commercial level. Bars and restaurants could use this device to monitor employees in a cost effective manner. 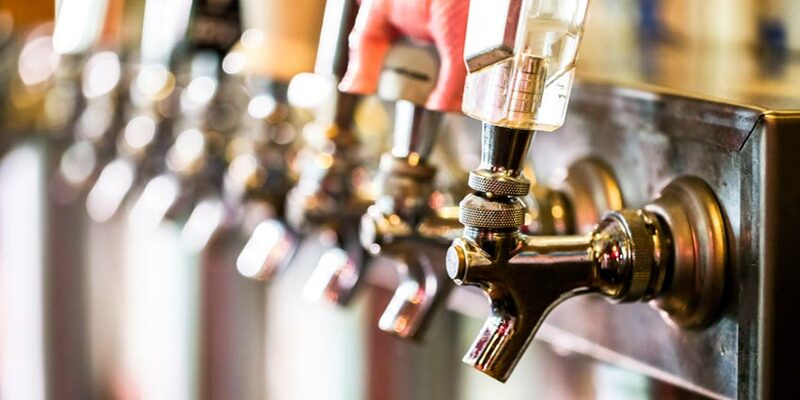 If they were able to link a server’s sales with their drinker account on the Kegbot server beer shrinkage could be largely eliminated.